Searching for a great Valentine's Day gift for your sweet? Don't disregard the bookstore this holiday! Here are a few top picks for books that will be well received by your sweetie. Want to score brownie points? 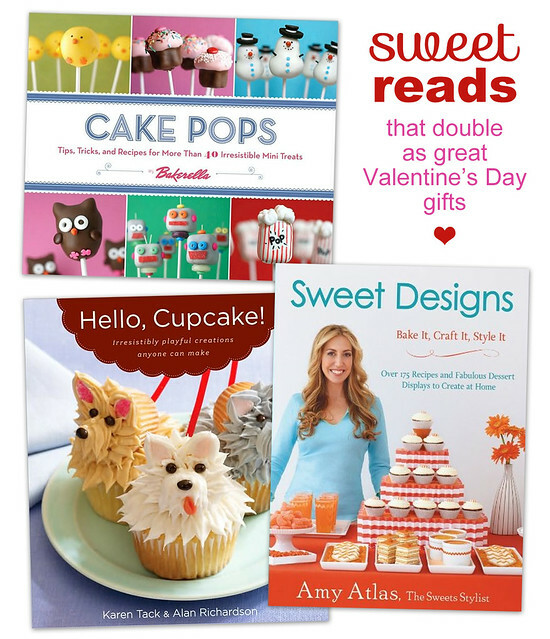 Whip up one of the sugary confections from the book to present with the gift! Every occasion calls for a creative cake pop. Cake Pops by Bakerella has an idea for just about every festive event! The soon-to-be released Sweet Designs by Amy Atlas is sure to be a favorite. Her dessert tables and recipes are so inspiring!